A nuclear power plant is obviously not a source of greenhouse gases. If a 1000-MWe nuclear power plant is substituted for a coal-fired plant of the same size, the annual production of such gases is reduced by approximately the following amounts, depending on the composition of the coal and the type of pollution control equipment installed: about 7 million tons of C02, about 100,000 tons of S02, about 25,000 tons of N0*, and about 1500 tons of particulates. In addition, there would be about 1 million tons less coal ash. 0n the other hand, a nuclear power plant has its own characteristic effluents that are of environmental concern. During normal operation of a light water reactor (LWR), the cooling (and neutron-moderating) water will accumulate the following. The amount of radioactivity a nuclear power plant is allowed to release into the environment by discharge as gas through a stack or as contaminated water is restricted by its license. The systems for preventing excess discharge of gases are complex, with holdup tanks for compressed gas containing short-lived radionuclides, filters to retain particulate matter, and charcoal absorbers to remove radioisotopes of Kr and Xe. Table 14-10 shows the level of radioactivity for gaseous and liquid effluents and for solid waste released annually from BWRs and PWRs over a span of 20 years (1974-1993). 0ne can discern a number of trends in this period. In interpreting such data or similar data about nuclear power plants, the following facts must be kept in mind. • No two nuclear power plants of a given type are identical. As newer ones were built, the experiences gained in operating the older plants were incorporated in design changes and improved chemical treatment processes for radioactive waste. There are limits to how much an old (> 20 years) plant can be upgraded. • Fabrication techniques for fuel elements have improved fuel performance over the years. aThe reported releases are generally planned and in accordance with plant license. However, they include unplanned releases, perhaps from equipment failure, that are below "accident" level. The last year an annual report was prepared. cBWR: Radionuclides. Major contributors: 41Ar (1.83h), 85mKr (4.48h), 87Kr (1.27h), 88Kr (2.84h), 133Xe (5.243 d), 135mXe (15.3 m), 135Xe (9.10h), 137Xe (3.82m), 138Xe (14.1m). Relative amounts vary from plant to plant. PWR: Radionuclides. Major contributors: 3H (12.32 y), 41Ar (1.83 h), 85Kr (10.6 y), 85mKr (4.48 h), 87Kr (1.27h), 88Kr (2.84 h), 131mXe (11.9 d), 133Xe (5.243 d), 133mXe (2.19 d), 135Xe (9.10 h). Relative amounts vary from plant to plant. 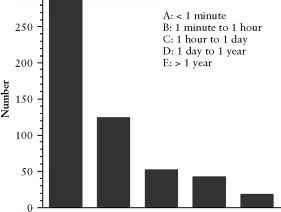 Per plant, based on arithmetical average. eAlso, BWR: 25 Ci of tritium (data for 1993), PWR: 65 Ci of tritium (data for 1993). fBWR: Aqueous waste that is diluted with water (perhaps by a factor of 102 —105) before discharge. Final volume, 109-1012 liters (data for 1993). PWR: Aqueous waste that is diluted (perhaps by a factor of 102-103) before discharge. Final volume, 109—1012 liters (data for 1993). (30.07y). Relative amounts vary from plant to plant. 137Cs (30.07y). Relative amounts vary from plant to plant. BNL-NUREG-51581, Vol. 14. U.S. Nuclear Regulatory Commission, Washington, DC. December 1995. la.? nuclear fission power plants many months for refueling, routine maintenance, replacement of equipment, and so on, or it may have operated year-round. • There have been changes in NRC regulations requiring certain operational changes (e.g., the lowering of airborne radionuclides for BWRs). • Changes in radionuclide release over the years also can reflect change in plant management. Radionuclides in the primary coolant of a PWR can enter the secondary cooling system through imperfections in the many kilometers of tubing contained in the steam generators that are components of the cooling loops. Water is also withdrawn from the primary loops to remove corrosion products, and other contaminants. The aqueous effluents are passed through filters and demineralizers (inorganic or organic ion exchangers) to remove radionuclides. Such treatment does not, of course, remove two of the radionuclides produced in LWRs, namely, tritium (12.32 y) and 14C (5715 y). Tritium can be formed as a product of the rarely occurring ternary nuclear fission reaction in the fuel and escape through imperfections in the cladding. It can also be formed in LWRs by the 2H(n, 7) 3H reaction with deuterium in normal water.40 In pressurized water reactors its major source is the 10B(n, t) 4He reaction in boric acid, which is added to the primary coolant as part of the reactor control system. When the 14C escapes through leakage of the coolant, it may be as 14CO2, 14CO, or 14CH4. For a given type of power plant, PWR or BWR, the systems used to limit the amount of radioactivity in the effluents have become more complex and efficient over the years. Because the steam going to the turbines in a BWR plant is generated in the reactor core, the turbines become radioactively contaminated, the challenge of limiting the radioactivity in plant effluents is greater than for a PWR and, therefore, some of the effluents tend to have a higher level of radioactivity. 40The composition of normal hydrogen, is 99.985 at. % for 1H and 0.015 at. % for 2H. 41In a graphite-moderated reactor the 14C is produced by the 13C(n,7) 14C reaction. and raise the capacity factor. Other improvements relate to minimization of radioactive waste and nonproliferation of nuclear weapons. One class of advanced light water reactors (ALWRs), ABWRs and APWRs designed in the United States, have evolutionary improvements based on experience with existing LWRs. They are comparable in generating capacity to existing large LWR plants but are simplified (fewer welds, less piping) and have better instrumentation. The first ABWR [1315 MWe (net)] was built in Japan and began operation at the end of 1995. Canada has developed an evolutionary, standardized design AHWR, the CANDU 3. France and Germany have jointly developed an evolutionary design for the PWR, called the European pressurized water reactor (EPR), that is available for replacement of aging nuclear power plants. Advanced gas-cooled reactors (AGRs) have been built in the United Kingdom. These use enriched uranium instead of natural uranium as fuel and have concrete containment buildings. Another class of advanced plants using LWRs is characterized as having passive cooling and passive safety features. Plants of this type differ markedly from existing plants while still providing safeguards against sabotage and diversion of plutonium. They require less human action, have fewer or no moving parts such as pumps and valves, have more safety features, and require no power to operate the safety systems. The latter include gravity feed of water stored above the reactor and greater use of convective and radiative heat transfer. Plants being designed with passive systems are generally mid sized (e.g., about 500 MWe). Both types of ALWR are expected to benefit from the incorporation of standardized components, which should lower construction time and costs and expedite licensing. Advanced gas-cooled and liquid-metal-cooled reactors also have been designed. Natural fission, water-moderated reactors (at least 16) existed on the earth and were part of the environment about 1.96 billion years ago in deposits of uranium ore in the Oklo region near Franceville in the Gabonese Republic on the west coast of Africa. At that time the abundance of 235U in the ore was about 3% (about that used in LWR reactors) instead of the current value of 0.720%. It is estimated that the reactors, which operated intermittently, had an operational life in the range of 5 x 105 —106 years. Sufficient uranium remains so that there is an interest in mining at least one of the reactor sites. • About half the fission product elements remained in the U02 ore, which is analogous to spent reactor fuel. • For five fission products that migrated from one of the reactor zones, the relative retentions were in the order Te > Ru > Pd > Tc > Mo. Some of these were retained in peripheral rocks. • Most of the cadmium and tin escaped from the reactor zones. • The heavy rare earth elements are more mobile than the light ones. • The 239Pu (2.410 x 104y) present after the reactors ceased to operate remained immobilized long enough to decay into 235U. Although power plants using controlled thermonuclear reactions (fusion reactions) as the heat source do not exist, progress is being made on generating and controlling fusion reactions and on developing concepts for fusion power plants. Because of the large quantity of deuterium (0.015 at. % of the hydrogen and present as HD0 and D20) that is available in the earth's hydrosphere and because of the existence of well-established methods for increasing the deuterium content of water, nuclear fusion has the potential of providing an almost unlimited source of energy in the future. The relatively low ignition temperature of the D-T reaction [equation (13-38)] has made it the reaction of choice in the facilities where fusion research and development are being conducted, and it will most likely be used in the first generation of fusion power plants. Ultimately, the two D-D reactions [equations (13-39) and (13-40)] would be used. Helium-3 is not an attractive fuel because its natural abundance is only 1.4 x 10~4 at. %, and it is more difficult to make by a nuclear reaction than 3H. In a controlled fusion reaction, it is necessary not only to create the plasma of reactant nuclei, but also to stabilize and confine it at the proper density and temperature 108 K). Furthermore, for power generation, the energy output must be greater than the energy input needed to produce and confine the plasma. Two very different approaches to developing fusion power are being pursued. In the method that has been studied for the longer period of time, the plasma is contained in a vacuum chamber. The plasma can be produced by several methods—for example, passing a high current through the gaseous mixture of reactants (ohmic heating) followed by magnetic compression, or ionizing the reactants first and then injecting them into the device. Magnetic fields are used in a number of ways to confine the plasma within the reaction vessel and away from the wall, since there is no containment material that could survive the temperature of the plasma. The tokamak, first built in the USSR, is an example of a device that uses magnetic confinement of the plasma in a torus (a single doughnut-shaped vessel). Magnetic confinement42 has been investigated in the United States and in the former Soviet Union for many years. In the future, it is likely that major research and development projects based on magnetic confinement will be pursued abroad at the Joint European Torus (JET) and the International Thermonuclear Experimental Reactor (ITER) project, which is supported by Europe, Japan, and Russia and is scheduled to be completed and to demonstrate the feasibility of commercial fusion power by about the year 2013. The experimental facility is in Japan. An early variation of the tokamak was the stellarator, in which the coils for generating the magnetic field are wound around the plasma chamber (torus) in the shape of a helix rather than a series of rings. Although study of the stellarator design was discontinued by most countries in the 1960s, a modern version of this device, known as the large helical device (LHD), is being developed in Japan. In the second method, which uses inertial confinement, high-power lasers or sources of high-energy electrons or ions provide high-input energy in pulses lasting perhaps a microsecond or a nanosecond to irradiate and compress the fuel mixture (2H2 and 3H2). Confinement is achieved by sealing the fuel in small pellets or microspheres that are about 1 mm or less in diameter and are made of glass, for example. Irradiation by converging, pulsed laser beams rapidly vaporizes the confining shell of the pellet, creating an implosion that increases the density of the fuel mixture and heats it to the ignition temperature needed for the reaction to become self-sustaining. This technology is being developed at the National Ignition Facility (NIF) at the Livermore National Laboratory in California, and in Japan. The fusion device, which will have about 190 converging lasers, will be used to study and develop inertial confinement fusion as a source of energy and to provide a means for maintaining the stockpile of nuclear weapons without testing. 42Produced by the magnetic fields generated by current flowing in coils wound around the torus and current flowing through the plasma. If deuterium is eventually used alone as the fuel, the D-D reactions will produce both neutrons and tritium. In any event, thermonuclear power plants are not expected to become a reality until the distant future, perhaps by 2050. In March 1989, a ripple of excitement swept the world when it was announced that the results of experiments were believed to show that the energy of nuclear fusion could be released as heat by simply electrolyzing a solution of Li0D in D20 in a cell having a palladium cathode and a platinum anode. The energy output of the cell as heat was measured to be greater than the energy input. Since the experiments were carried out at room temperature, the process was referred to as "cold fusion.'' The implications of an inexpensive way of harnessing the energy of fusion were almost beyond imagination, especially for nations without energy resources. The same experiments and variations of them have been carried out in laboratories in many parts of the world since 1989, but the original results have not been duplicated. 0ther effects that are not readily explained have been observed but they, too, cannot be repeated. When a small energy release is observed, neutrons, protons, tritons, helium nuclei, and y rays are not observed in the quantities expected from reactions (13-39) and (13-40). It becomes necessary to assume that a new nuclear reaction mechanism can occur when deuterium is absorbed in palladium or some other metal. 43John R. Huizenga, "Cold Fusion: The Scientific Fiasco of the Century", University of Rochester Press, Rochester, NY, 1992. The nuclear weapons programs that a number of nations have undertaken since 1945 have had significant effects on our nuclear environment. In the first generation of nuclear weapons ("A-bombs"), the explosive energy came from the fission of 235U or 239 Pu. The main source of energy in a thermonuclear weapon ("H-bomb") is a reaction such as the D-T reaction (13-38), which is triggered by energy from the fission of 239Pu. This type of weapon can be made to release much greater explosive energy than fission weapons (i.e., in the megaton energy range) with a smaller release of fission products per unit explosive energy.44 On the other hand, if an outer layer of 238U is added, the quantity of fission products increases, and the weapon has been called "dirty." By the end of the Cold War, the arsenal of nuclear weapons contained a variety of types ranging from heads for intercontinental ballistic missiles to relatively small tactical weapons. Reduction in the size, weight, and amount of fissionable material was made possible by incorporating deuterium and tritium in the weapons. Tritium was also used in the so-called neutron bomb. Because 5.5% of the 3H (12.32 y) decays per year, the tritium in stored weapons must be replenished by irradiation of 6Li in rods containing lithium in a reactor [reaction (14-12)] or produced in an accelerator. The reactor route using commercial LWR power reactors has been chosen in the United States. Lithium-containing absorber rods are to be irradiated with neutrons at nuclear power plants operated by the Tennessee Valley Authority and shipped to a new processing plant at the Savannah River site. 44A one-kiloton nuclear explosive has an explosive energy output of 4.184 x 109 kJ. Radon-222 is released from the ore when the uranium is extracted and from the radium-containing waste that is generated. In the gaseous diffusion method of isotope separation, which is based on the kinetic theory of gases, the UF6 diffuses through porous barriers. The theoretical separation factor is 1.0043, but in practice it is closer to 1.003. 0ver a thousand stages are required to increase the 235U content from 0.72% to about 93% in highly enriched uranium (HEU). The depleted uranium (DU) that remains contains 0.2 w% or less 235U. Enrichment utilizing a gas centrifuge is more energy efficient. The 235UF6 migrates toward the axis of rotation, where the enriched product is removed, while the 238UF6 migrates toward the outside of the centrifuge, where it is removed. Atomic vapor laser isotope separation (AVIS) has been studied in the United States and France. Another laser-based method, separation by laser excitation (SILEX), uses UF6 as the feed material. Although there should be negligible loss of radioactive material in enrichment processes, liquid waste is generated when the equipment is cleaned. Also, there can be leakage of UF6 at various points in the processing. A medical monitoring program has been established for people who have worked at gaseous diffusion plants. Next, the enriched uranium hexafluoride is converted to UF4 followed by reduction with calcium to uranium metal, fabrication of weapon components, and assembly of the weapons. Workers at gaseous diffusion enrichment plants that also produce the metal may have been exposed to levels of ionizing radiation and toxic chemicals (e.g., beryllium) above current limits. There have been instances in which the metallic dust has escaped from air filters and has been carried into the environment outside the plant site. Approximately 5.7 x 105 tonnes of depleted uranium as UF6 were produced in the United States weapons program.47 In metallic form (density of 19.07g/ cm3), uranium is used for shielding in medical x-ray equipment and for making tank armor and conventional weapons (e.g., armor-piercing shells). In addition to the United States, nine other countries have developed such weapons. It is also used in the form of ballast and counterweights in civilian and military aircraft. When ingested, 238U (4.47 x 109 y), an a-emitter with a specific activity of 12.4MBq/kg (335 pCi/kg), is generally considered to be a toxic heavy metal that is retained by bone and can cause kidney damage. Because metallic uranium is pyrophoric (ignites spontaneously) when finely divided, it can become airborne as smoke containing very fine particles of U02. 46Large mass spectrometers called calutrons also were used for enrichment at 0ak Ridge during World War II. They later became the source of separated stable isotopes. 47After irradiation with neutrons to produce plutonium, the depleted uranium contains a small amount of a-emitting 236U (2.342 x 107 y), which can contaminate the DU when it is put through the enrichment process to recover the 235U. External exposure to DU, with its very low specific activity, is not a radiation hazard. At the time of writing, inhalation of DU particles is not considered to present a risk of cancer arising from its being a source of ionizing radiation. The risk of cancer in organs of the body from DU, as a heavy metal, has not been ruled out. Extensive research on the health hazards of uranium has been carried out over the years. Additional research seems to be needed to settle the questions that have been raised about health effects such as leukemia for people exposed to DU during or after military operations in recent years. A complicating factor is that less is known about the health hazard of the traces of 236U, 239Pu, and 240Pu that may be in the DU if its origin was irradiated uranium. See the additional reading at the end of the chapter for a report on an environmental assessment in Kosovo. For a weapon based on 239Pu, the plutonium is made according to reaction (13-44) by irradiation of 238U in a nuclear production reactor. After irradiation, the fuel rods are chopped; the fuel (U02) is dissolved in acid (e.g., nitric acid), and the plutonium and uranium are chemically coseparated (e.g., by solvent extraction) from the fission products formed during the irradiation. The weapons-grade plutonium is chemically separated from the uranium, purified, converted to plutonium metal, fabricated into the required components, and assembled into weapons. This reprocessing of the irradiated uranium generates large quantities of liquid radioactive waste. It also releases volatile fission products. At the Hanford Reservation, for example, about 15PBq (400,000 Ci) of 131I (8.020 d) was released into the atmosphere between 1944 and 1947. The reactors used to produce the plutonium were cooled with water from the Columbia River until 1971. Radioactivated corrosion products [e.g., 60Co (5.271 y) ] and any fission products that escaped from the rods containing irradiated uranium contaminated the water that was returned to the river. If a weapon contains tritium, there are the additional steps of removing the tritium from the irradiated target, purifying it, and fabricating a weapon component. Because metallic plutonium, like metallic uranium, is pyrophoric, machining and other operations must be done with the fire hazard in mind. There have been cases of spontaneous combustion. The oxide smoke of the a-emitting 239Pu is a major radiological (inhalation) hazard. 48Environmental Restoration and Waste Management Program, U.S. Department of Energy, D0E/EM-001P (revised December 1992). facilities of all types operated as they had during the Manhattan Project, with the urgency and secrecy that was part of wartime weapons production. The nuclear weapons programs that flourished in the United States and the Soviet Union during the Cold War have left a legacy of environmental problems that include the following. Testing of nuclear weapons, especially atmospheric testing, has added to the radioactivity of the environment. At least 2419 tests have been carried out since 1945, and of these, 543 were atmospheric tests. In 1963 a Limited Test Ban Treaty banning nuclear tests in the atmosphere, in outer space, and under water was signed by the United States, the United Kingdom, and the Soviet Union. Testing continued, but the explosions were carried out underground with a limit of 150 kilotons under the 1974 Threshold Test Ban Treaty. The last such test in the United States occurred in September 1992. 49A site may be suitable for a nonnuclear use, or it may be converted into a safe storage facility. Existing facilities may be entombed or may be completely dismantled. for four types of monitoring: seismological, radionuclide, hydroacoustic, and infrasound [ (sound waves with inaudible frequencies below 20 Hz) for atmospheric testing]. Nuclear weapons testing (underground) by the declared nuclear powers ended after announced tests by France and China in 1996. The world was taken by surprise when India conducted three unannounced, simultaneous, underground tests on May 11, 1998, and two more on May 13. The tests involved both fission and thermonuclear devices. India had previously detonated a "peaceful nuclear explosive" in 1974. A little over two weeks later, on May 28, Pakistan conducted five underground tests. A sixth device was detonated on May 30. Thus, India and Pakistan moved from the group of probable (undeclared) nuclear nations to the group of declared nuclear nations. The extent to which the fission products and residual fissionable material are deposited in the immediate area following detonation of a nuclear weapon in the atmosphere depends on the altitude at which detonation occurs and the type of weapon. The local effects of a large (kilotons to megatons) weapon detonated at an altitude of tens of thousands of feet are mainly those from the shock wave, from heat, and from irradiation by neutrons and 7 rays. Weapons of a megaton or larger generally release most of the radioactive debris (atomic vapor) in the stratosphere, where it is dispersed and distributed worldwide. The long-lived components have a residence time in the stratosphere of one to five years, with an average of about two years. After the debris falls into the troposphere, it can reach the earth slowly as fallout of very fine particles, or it can be concentrated and carried to the earth's surface by rain (as rainout) or snow. 50See M. Eisenbud and T. Gesell, Environmental Radioactivity (From Natural, Industrial, and Military Sources), 4th ed., Academic Press, San Diego, CA, 1997, p. 292, and H.M. Clark, Science, 119 (3097), 619 (1954). large particles and settles out in a matter of minutes. The fallout is deposited locally and includes radioactivity induced by neutron capture reactions in the soil (or seawater if the detonation is over an ocean). When nuclear weapons are tested by underground detonations, most of the radioactivity remains underground, but there may be venting (tritium, noble gases, and other volatile fission products) and localized fallout. Such tests can be detected seismographically and have provided information about the inner regions of the earth. Five weapons-produced fission products, namely, 90Sr (28.78 y) and its daughter 90Y (2.67d), 131I (8.0207d), and 137Cs (30.07y) and its daughter 137mBa (2.552 m) are particularly hazardous when ingested (Section 14.13). More recently, 99Tc (2.13 x 105y) and 129I (1.57 x 107y) have also been receiving attention as long-term, internal radiological health hazards. Most of the fission products from atmospheric weapons tests at the Nevada test site were released between 1952 and 1957. Beginning in 1983 and ending with a report in 1997, the National Cancer Institute (NCI) conducted a very challenging study to estimate the exposure to 1311 of the American people and to assess thyroid doses received by individuals across the country (3100 counties) from the Nevada tests.51 The report contains maps showing the activities of1311 deposited on the ground and dose estimates for all counties. A third part of the 131I fallout study, namely, assessment of the risk for thyroid cancer from the estimated exposures, was completed by the Institute of Medicine (I0M).52 Two conclusions in the I0M report are "first, that some people (who cannot be easily identified) were likely exposed to sufficient iodine-131 to raise their risk of cancer and, second, that there is no evidence that programs to screen for thyroid cancer are beneficial in detecting disease at a stage that would allow more effective treatment." The potential climatic effects of nuclear warfare were discussed in Chapter 3, Section 3.3.4. 51Estimated Exposures and Thyroid Doses Received by the American People from 1-131 in Fallout Following Nevada Atmospheric Nuclear Bomb Tests, National Cancer Institute, U.S. Department of Health and Human Services, 0ctober 1997. Exposure of the American People to Iodine-131 from Nevada Nuclear-Bomb Tests: Review of the National Cancer Institute Report and Public Health Implications, Institute of Medicine, National Academy of Sciences, Washington, DC, 1998.
that had been signed by 82 nations during the preceding two years went into effect for a period of 25 years. Under this treaty a signatory nation agreed that in exchange for having access to the technology for peaceful uses of nuclear energy (i.e., generation of electricity) it would not develop nuclear weapons and would not assist other nations to develop such weapons. It further agreed to accept international safeguards that include monitoring of the acquisition, storage, transfer, and use of all fissionable materials and sources of such materials. Safeguards inspections are carried out by the International Atomic Energy Agency. In 1995, when the NPT was renewed for an indefinite period, there were over 162 signatories. Although the goal of the NPT is to prevent the spread of nuclear weapons, it also can be seen as protecting the environment from widespread radioactive contamination. A modern thermonuclear warhead is a complex system containing 235U, 238U, 239Pu, Be, Li, 3H, and 2H as nuclear components. The uranium enrichment path to a weapon has a lower radiological health risk and may be more difficult to detect than the plutonium path, which requires chemical processing of the irradiated fuel with likely escape into the environment of detectable radioactive fission products. In one type of thermonuclear explosive the thermonuclear reactants, 2H and 3H, are enclosed within the fissile material, which compresses and ignites the fusion reaction. In a second type, the fissile material and the mixture of hydrogen isotopes are in separate compartments. Radiation from the fission reaction compresses the hydrogen mixture and ignites the thermonuclear reaction. Various proposed schemes for preventing the proliferation of nuclear weapons by nations that have not signed the NPT have been studied and evaluated.53 The general conclusion of the studies was that steps could be taken to make diversion of plutonium and enrichment of uranium more costly, more dangerous, and more time-consuming, but that there is no technical fix (including using the 233U—232Th fuel cycle) to prevent proliferation. At best, a degree of proliferation resistance could be created.54 Also, it was concluded that fuel cycles involving reprocessing to remove the plutonium are more vulnerable than the once-through cycles in which the irradiated fuel is placed in a repository for long-term storage. 53Two in-depth studies were the International Fuel Cycle Evaluation (INFCE) and the Non-proliferation Alternative Systems Program (NASAP). The latter, which began in 1976, was a program of the U.S. Department of Energy and was in support of INFCE. 54For example, addition of fission products would provide a measure of deterrence. However, no matter what is done to the fuel before irradiation or what is done when the fuel is reprocessed, the plutonium can be recovered by chemical separation. Prevention of the proliferation of nuclear weapons is dependent on nuclear safeguards, the measures that are taken to guard against the diversion of nuclear material from uses allowed by law or by treaty and to detect diversion or provide evidence that diversion has not occurred. The measures include physical security, material control (controlling access to and movement of nuclear material), and material accountancy. When India and Pakistan increased the proliferation of nuclear weapons in May 1998, they followed different production routes. India used plutonium separated from irradiated nuclear reactor fuel. Tritium needed for the thermonuclear explosive was produced at a facility in India. Pakistan used highly enriched uranium obtained by the centrifuge separation process. However, Pakistan also has nuclear reactors and a facility for reprocessing irradiated fuel to separate plutonium. Even though the end of the Cold War eliminated the need for large arsenals of nuclear weapons, the potential for diversion of fissionable material from nuclear power plants continues, and there is the added potential for theft of existing weapons or their components. Furthermore, the focus of nuclear deterrence moved to the "rogue states'' and terrorist groups that might use nuclear or other weapons. When the Cold War ended, one of the obvious questions that arose was, What should be done with the surplus plutonium and HEU that have been produced in the weapons program? The risk of theft caused nations with these materials to examine and strengthen their safeguards programs. 0n paper, there are several long-term options available for disposal of each of the two fissile materials. An argument for not converting both the plutonium and the HEU into waste is that they represent two stockpiles ("treasures'') of an energy source that were produced at great expense and have potential use as fuel in nuclear power plants in the future. For HEU (about 93% 235U), an obvious long-term solution for dealing with the surplus is to simply convert the metal to U02 and dilute the oxide with natural or depleted uranium oxide to obtain LEU (3-4% 235U) for use as fuel for existing LWRs or for new LWRs in other countries. This dilution procedure is now well established and is being used. Since the material is no longer of interest for making a weapon after dilution below 20%, it can be stored. Among the objections to this dilution procedure is that plutonium will be produced from the 238U in the LEU. However, because the plutonium will be sealed in irradiated fuel rods along with a large quantity of fission products, it is considered to be in a "theft-resistant'' state. The stewardship of the surplus weapons-grade plutonium is a much greater challenge than that for HEU. Isotope dilution is not an option. The estimated total amount of weapons plutonium in the world is 270 tonnes (metric tons). Perhaps about 200 tonnes will become surplus. 0ver 30 methods for guarding against use to make a nuclear explosive have been suggested. Five of these are as follows. 1. Store it as the metal in a criticality-safe manner and guard it for perpetuity for possible reuse in weapons or for future conversion to Pu02 and dilution of the oxide with natural or depleted uranium U02 to obtain M0X that can be used in nuclear power reactors. 2. Convert it to M0X as soon as possible. 3. Treat it as waste by mixing it with fission products and use known technologies to dispose of it after vitrification (incorporation in glass). 5. Bury it underground in boreholes more than 4 km deep. Method 1 does not resolve the safeguards issue because a suitable, long-term storage facility does not exist, and 239Pu (2.410 x 104 y) decays into the longer-lived 235U (7.04 x 108 y). Method 2 requires that the existing commercial LWRs in the United States be modified to use M0X as fuel. M0X is not a weapons material. It is being used in some of the European reactors. Method 3 reduces the energy value of the plutonium to zero, but requires a geological repository. The fourth method would require extensive development. In December 1996 the United States announced a decision to take a dualtrack approach using two of the four methods just listed: vitrification and conversion to M0X, for disposal of about 50 tonnes of surplus plutonium over a period of about 30 years. Approximately four years later Russia and the United States agreed that each country would dispose of 34 tonnes of plutonium, either as M0X to be used as fuel for civilian reactors or by mixing the plutonium with fission product high-level waste and placing it in a waste repository. 55Acronyms HLRW, ILRW, and LLRW, where R designates radioactive, are also used. The disposal method used depends on the type of waste. Radioactive waste of the various types that are now in storage has been generated mainly in facilities used in the nuclear weapons program and in nuclear power plants. Additional waste has been generated in research reactors and in facilities such as those in hospitals, universities, and industry. New waste is being generated at all these facilities. For the weapons facilities, the new waste will result from decontamination of the equipment and buildings as the facilities are decommissioned. The same holds for commercial nuclear power plants that cease operation. Plants continuing to operate will, of course, continue to produce spent fuel and LLW. Normally, when a building (e.g., factory, apartment complex, etc.) is demolished, the debris includes concrete and scrap metal. The latter finds its way into the local metal supply. When a nuclear facility is decommissioned and leveled, both the concrete and the scrap metal may be radioactively contaminated, not simply on the surface where the unsafe areas are removable, but internally. Contaminated concrete is sent to a radwaste disposal site. Contaminated scrap metal, if detected, must not be recycled. Tens of thousands of tons of nickel and steel have been placed in storage for this reason. These metals may be of use in nuclear facilities. Safety standards for the transportation of nuclear waste are set at the international level by the International Atomic Energy Agency. Domestic regulations based on relevant parts of the IAEA standards are set by the Department of Transportation, as well as the NRC and the EPA. Packages and containers of various types are tested to withstand transportation accidents. For high-level waste and SNF, the appropriate local authorities are notified of the route and schedule. Disposal is the process of isolating the waste from people and the environment. 0ne criterion for a disposal site is location in an area of extremely low population density. A second criterion is that radionuclides in a permanent, underground disposal facility (e.g., a geological repository) not escape and contaminate the groundwater in the area for thousands of years. Predictions of how a repository will behave over extended periods of time are based on mathematical models that take into account the likelihood of catastrophic phenomena such as floods, earthquakes, and volcanism. In addition, the models provide predictions on how any radionuclides that enter the ground-water will be transported (e.g., as simple ions, as ions bound to complexing agents,56 or depending on the pH, as colloids consisting of ions adsorbed on hydrous oxides such as those of iron and aluminum). Despite the advances that have been made in chemistry to date, relatively little is known about the fundamental chemistry relevant to the migration of the elements on the earth's surface and below the surface. This area of research provides both a challenge and an opportunity. It includes investigation of the solubilities, complexation, redox reactions, colloid formation, and sorption and desorption mechanisms of the fission products and the actinide elements. In addition, there is need to develop more effective technologies that are both innovative and cost-effective to separate and convert hazardous wastes of all types into stable disposable forms. An additional requirement for a long-term radwaste disposal site is that it be intrusion-proof. For a geological repository, "intrusion'' could mean mining for plutonium or mining to reach mineral deposits in the area. HLW includes the mixture of fission products separated from irradiated reactor fuel when the fuel is reprocessed (for the nuclear weapons production) and often includes SNF that is stored without reprocessing. Transportation of HLW to sites for storage, predisposal treatment, and permanent disposal is a very important part of the management of such waste. Casks used to transport HLW by truck or rail are especially designed to provide radiation shielding and to remain intact in the event of an accident. The two major sources of HLW considered here are nuclear power reactors and facilities at which irradiated fuel and SNF have been reprocessed to remove the plutonium and recover 235U. 56Complexing agents would include EDTA used as a decontaminating agent or naturally occurring substances such as humic and fulvic acids. 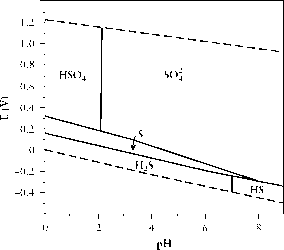 FIGURE 14-13 Distribution of fission products in spent LWR fuel according to half-life in specified time ranges. contain about 35 kg of fission products and about 10 kg of transuranic elements (Np, Pu, Am, and Cm), of which about 9 kg would be plutonium.57 The radioactivity of the fission products and that of the actinides at the time when the reactor is shut down decreases rapidly at first because of the high proportion of short-lived radionuclides. Figure 14-13 illustrates the half-life distribution for fission products in the SNF when it is removed from the reactor. As spent nuclear fuel is stored, the fission product radioactivity will be determined increasingly by the radionuclides with long half-lives.58 Fission products in the SNF having a half-life greater than one year are listed in Table 14-11. The four long-lived fission products that require long-term storage in a repository are 90Sr (28.78 y), 99Tc (2.13 x 105y), 129I (1.57 x 107y), and 137Cs (30.07y). 57By the year 2008, burnup for LWRs in the United States is expected to increase to about 39 GWd/MTHM for BWRs and about 50 GWd/MTHM for PWRs. The concentrations of fission products and transuranic elements in the SNF will, therefore, increase. 58In an operating reactor, the short-lived fission products that are daughters of longer-lived fission products reach transient or secular equilibrium concentrations. Note that the short-lived daughters are counted according to their own half-lives in Figure 14-13, even though they decay with the half-life of the parent. As a good approximation, fission products with very long half-lives initially accumulate linearly with time. 'includes short-lived radioactive daughter (asterisk = ») present with the preceding long-lived parent. The actinide radionuclides, including transuranic nuclides, having a half-life greater than one year that are contained in the fuel are also listed in Table 14-11. If SNF is reprocessed, the small amount of uranium and plutonium that is not recovered (perhaps 0.1-0.5% by weight) and the other TRU elements remain with the fission products in the HLW waste. After 10 years of decay, the contribution of fission products to the long-term heat release consists of about 43% from 90Sr—90Y and about 49% from 137Cs—137mBa. The isotopes of plutonium, americium, and curium contribute 52,29, and 19%, respectively, of the heat released from actinides after 10 years. When the nuclear power industry was established in the United States, it was intended that the spent nuclear fuel would be reprocessed after being stored for a "cooling" time of about 150 days under water in pools located at the power plant site. During the cooling time, the decay heat would be removed from the short-lived fission products. There are several reprocessing schemes for recovering the residual 235U and 238U and separating the reactor-grade 239Pu (with higher concentrations Pu isotopes) from the fission products and then separating the uranium and plutonium. 0ne such scheme was described in Section 14.11.2 for separating weapons-grade Pu. Reprocessing of spent fuel from commercial nuclear power plants was banned in the United States in 1976 because of concern about the possible proliferation of Pu-based nuclear weapons. After the ban went into effect, the spent nuclear fuel became part of the once-through fuel cycle (i.e., from reactor to a repository for permanent disposal as waste).59 In 1982 (Nuclear Waste Policy Act) the U.S. Department of Energy agreed to begin accepting commercial SNF for storage or disposal by January 31,1998. The electric utilities have been contributing to a Nuclear Waste Fund to pay for construction of a storage or disposal facility (repository). The Yucca Mountain geological storage facility (described shortly) will not be available until 2020 at the earliest. As the storage pools for SNF became filled to capacity, some nuclear power plants built heavily shielded, above ground, dry, secure storage facilities to hold the older spent fuel. These facilities are passively air-cooled. Unfortunately, reliance on on-site, dry storage nuclear power plants keeps the SNF distributed about the country. Thus, spent fuel is stored in 35 states rather than in a single, isolated geological repository. The projected annual rate of SNF discharge in the United States is about 1900 MTHM until the year 2014. In the year 2000, the total amount of spent fuel stored in various places amounted to 40,446 MTHM. If no new nuclear power plants are built, the rate of increase in spent fuel will drop to zero at a rate that depends on how many plants have their operating licenses extended (e.g., by 20 years) beyond the original period of 40 years.